Programming is pretty challenging which is great but the app itself needs some fixing. 1. The check mark system doesn’t work for the finishers. 2. For the 3 day plan, when doing the full body it was would be nice to have a place to record how many reps you did during the minute duration. 3. The water tracking is only done in mL. 4. Some of the videos don’t match up with the exercise the programming is telling you to do. This app changed my life. 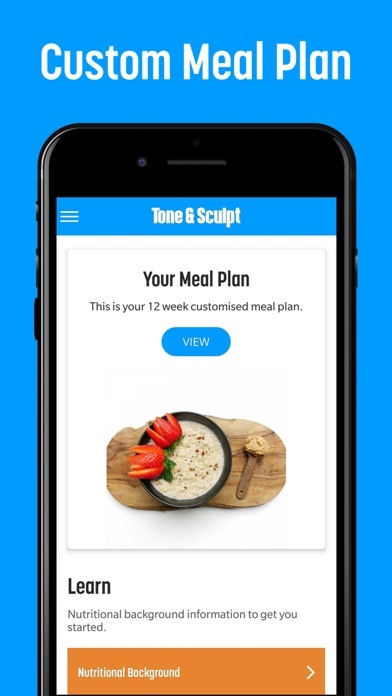 I love that this app lays out workout plans and meal plans for me as I was always confused on what to do at the gym and I’m not much of a great cook! i’ve swapped on some of the food days, as I don’t have much time in the mornings to cook eggs or other meals. But, the grocery list is missing some things leaving me to go to the store more than once and I live in the US so it’s not easy to figure out how many cups or ounces are in a gram measurement. This leads me to guessing and I may going over the amount. However, this app CONSTANTLY crashes, I mean all the time. It’s extremely frustrating. Each time I’m at the gym and I will click that I’ve completed something I’ll close the app and will have to do it all over again and when it does crash it asks me to sign up AGAIN. it’s really annoying. I know it’s a relatively new app, but I have never had an app that crashes so much in my life. Been needing an app coming from someone that I trusted and I totally trust this team!! The app is lovely and it allows me to do everything I was already doing on my notes app but now more efficiently in the tone and sculpt app. Krissy has somehow cracked the code on how to make a life changing workout program. 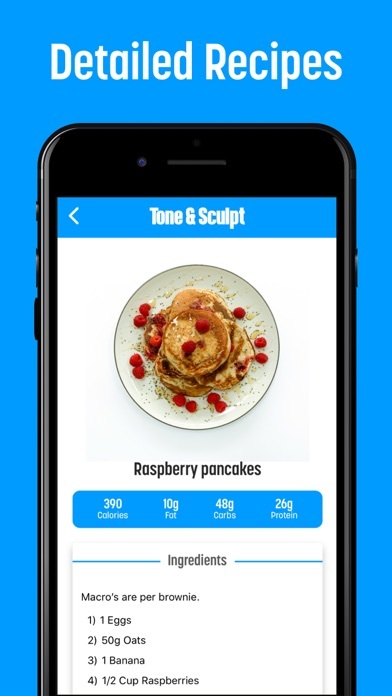 She has given you all the tools you need in one app to become the healthiest version of yourself. It’s so simple and user friendly, and as a gym newbie I already feel SO confident going into the gym...and I’m only on week six!! This app is so encouraging because you can literally feel and see yourself getting stronger and stronger. 100/10 recommend!! I love everything the app offered. I’m going to have to unsubscribe though because I need all of the workouts I’ve completed for the week displayed on one screen. I don’t have a set leg or cardio day due to my schedule so the current app I’m using helps me keep track. 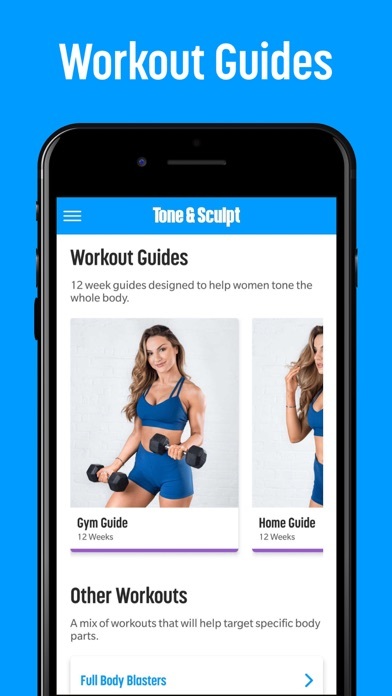 I like the concept of her app as it includes everything needed for fitness. Unfortunately, I canceled after one month. The repetitive workouts weren’t what I was looking for and i found myself uninspired to workout at the third week as I knew what the workouts were already going to consist of. They were also really short, which depending on your time, might work but i was looking for something more challenging.I prefer to use her Instagram account because I love her workouts and need the variety. I also think her vegan meal plan could use improvements. She opted for a lot of processed meat replacements and it seems like it wasn’t as thought out. I wish she would have used more of plant based proteins (like black Beans, chickpeas, quinoa, etc) instead of emphasizing fake meat. I watched her YouTube channel and loved how real she was and am on my 6th week. 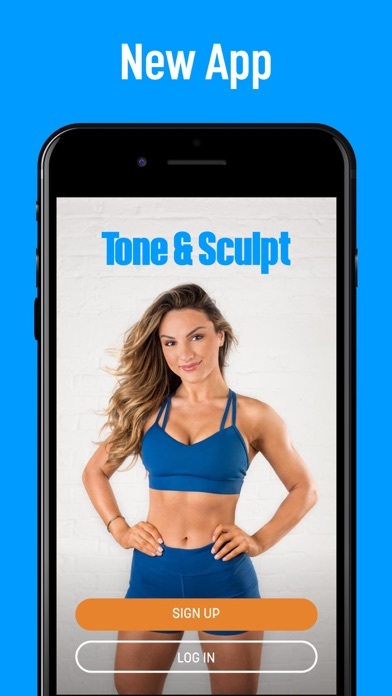 The app has short video clips of how to do the workout, an area to post your progress pictures and also a nutrition plan with calories. She personally responds back to your emails and I am super impressed with my results. 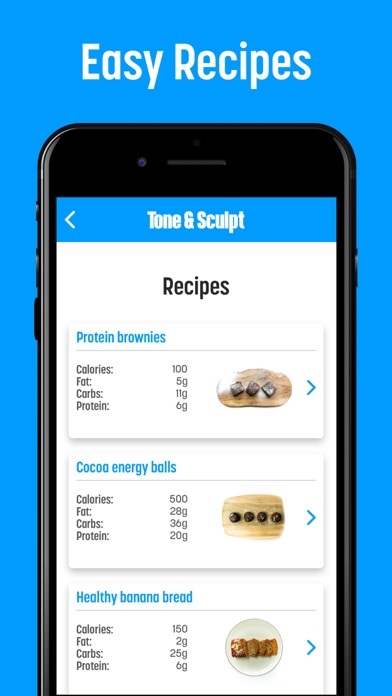 I would like more soups in the nutritional food suggestions and maybe a few healthy dessert options, but it’s been such a well Thought out app. The 5th week is absolutely killer. Can’t wait for the 2nd phase..but I am also nervous. This is very reasonable and she gives solid advice on your YT videos as well.